Rev. Kathryn Kellogg has a passion for encouraging people of all ages in realizing their spiritual nature and living lives that are authentic and joyful. Though she started her career in music education, teaching in public and private schools, Kathy has always had a love for church and the spiritual community. Having worked in Unity ministries for over 35 years, Kathy has served as youth and family ministry director in Kansas, Missouri and Arizona churches as well as 4 years as the Southwest Unity Region Education Consultant. Before coming to Unity of Mesa in 2014, Kathy served at Unity Worldwide Ministries’ national office as the Children and Family Ministry Coordinator supporting ministers and ministries and overseeing the credentialing programs for youth ministry. Within that time frame, she also worked 4 years as coordinator of the Field Licensing and Ordination Program, one of Unity’s paths to ordination. Kathy is a Certified Spiritual Educator, Licensed Unity Teacher specializing in youth and family ministry, and an ordained Unity minister. As co-minister at Unity of Mesa she delights in multi-generational ministry and all that each generation brings to the collective wisdom and joy of this amazing community. Rev. Judy Hildebrand holds an MDiv from Unity Institute as well as an MSED from the University of Missouri. She has been an active teacher since her teen years and taught multiple grade levels and subjects in public schools as well as in alternative settings. She spent 18 years supporting students with severe emotional challenges and their families as well. In her spiritual career she has served as a Youth Education Director, prayer chaplain, board member, regional consultant for the YOU program, and worked as a Prayer Associate at Silent Unity. Judy has revitalized Unity of Mesa's prayer chaplaincy program and has a passion for building spiritual community and introducing fellow seekers to diverse spiritual practices. Judy earned her first black belt in Tae Kwon Do at age 50, and credits martial arts as the introduction to her spiritual path. Judy and her husband have lived in Gilbert for 12 years. They have 3 adult kids and 3 grandkids. Judy loves hiking, camping, drumming, Zumba, and yoga. 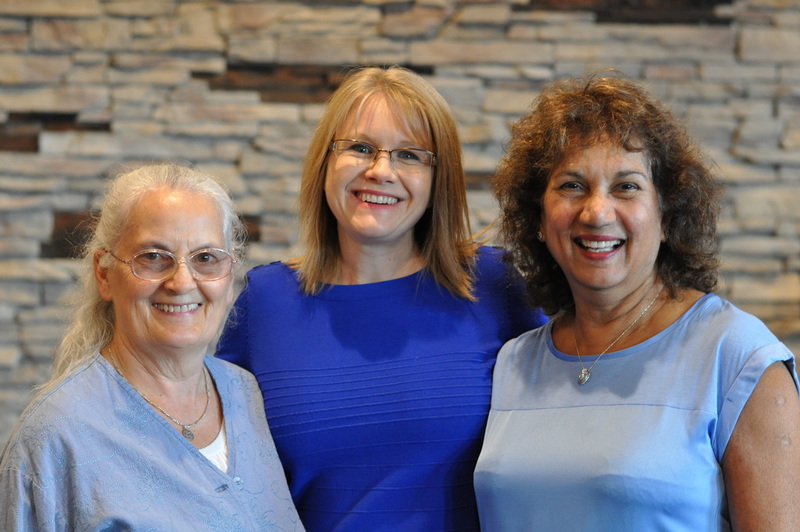 Alison Wilson, Moriah Salzman, and Sylvia Muse are Licensed Unity Teachers (LUTs) who offer classes at Unity of Mesa. Rev. Mark Fisk, a loving father, husband, son, and brother, passed peaceably with his family at his bedside on Monday, November 22, 2016, less than one month after being diagnosed with metastatic melanoma. Born and raised in Tulsa, Oklahoma, Mark earned an Economics degree from Dartmouth College in New Hampshire and went to work on Wall Street as an investment banker. After a spiritual awakening, Mark left New York to backpack around the world. He ended up in Mesa, Arizona in 1992, where he first started volunteering in Youth Ministry at Unity of Mesa. Mark found his calling as a spiritual educator. Over the next 20 years, as a Family Ministry Consultant, Licensed Unity Teacher, and Youth Pastor, Mark developed cutting-edge spiritual education programs for Unity youth & adults. He developed middle school and high school youth programs that profoundly impacted thousands of teens and their adult sponsors in Arizona, California, Nevada, and throughout the Unity movement. In addition, he facilitated adult retreats, leadership programs and teacher trainings on local, regional, and national levels. 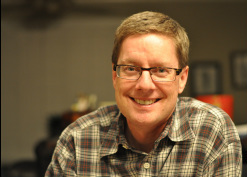 Mark returned to Unity of Mesa in December 2012 as Acting Senior Minister to guide the church through a transition period and was named permanent Senior Minister in November 2013, where he served until he made his transition. Mark's spirit lives on in his beloved wife Ronda, daughter Alisandra, mother Shirley, two surviving siblings Daniel and Lori and their respective families, and the extended family of those who called Mark teacher, mentor, guru, and friend. 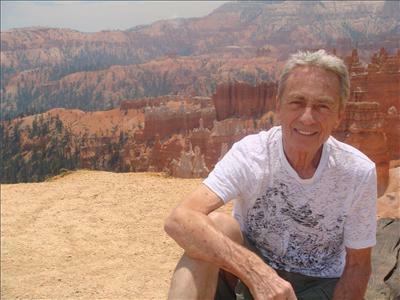 Mark requested that remembrances in his honor be made to Unity of Mesa, his spiritual home. After serving as the Senior Minister at Unity of Mesa for 37 years, Rev. Joel Baehr retired on June 30, 2012, and passed on January 6, 2013. To read more about Joel and his legacy, click here.